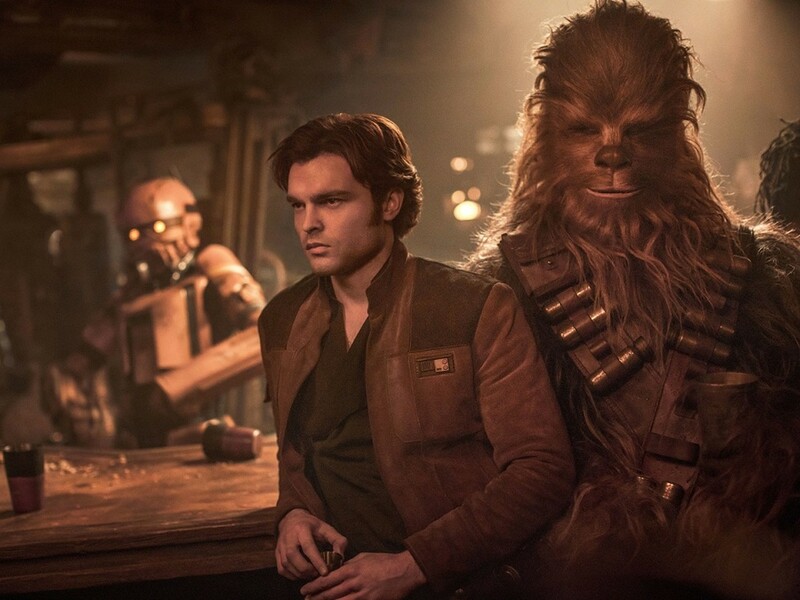 Alden Ehrenreich as Han Solo and Joonas Suotamo as Chewbacca in "Solo: A Star Wars Story." Like "Rogue One" before it, "Solo: A Star Wars Story" is one in a series of anthology films set in the "Star Wars" universe, meant to tell standalone stories separate from the main episodic films. Based on these first two entries, these films have instead become a chance for their makers to take some beloved aspect of the "Star Wars" franchise and fill in its backstory by answering questions no one really had. Providing the origin story of roguish smuggler Han Solo (played here by Alden Ehrenreich), "Solo" feels like the result of its writers being handed a checklist of events they had to include, and their job was simply to create a narrative that could connect them. So we get the defining moments that led to Han becoming the scruffy looking nerf herder we know and love, as embodied by Harrison Ford in the earlier films: we see him becoming friends with Chewbacca (Joonas Suotamo), encountering Lando Calrissian (a scene-stealing Donald Glover), getting to fly the Millennium Falcon for the first time, and making the Kessel Run in less than 12 parsecs. The results are messy and uneven, but whereas "Rogue One" could be a self-serious slog, "Solo" at least has some fun along the way, while never quite justifying its existence. The film's at its best when it foregrounds its appealing performances and leans into the narrative's slight Western vibe and heist movie elements. We pick up during Han's early days navigating the criminal underworld on his home planet Corellia alongside his childhood sweetheart Qi'ra (Emilia Clarke). Together, they have dreams of making it on their own, but during an attempt to finally leave the planet, the pair end up separated. Han enlists with the Imperial armed forces, before joining up with a band of outlaws led by Beckett (Woody Harrelson) and Val (Thandie Newton). Hoping to earn enough to make his way back to Qi'ra, he agrees to a risky mission that eventually lands the entire band of thieves in the crosshairs of gangster Dryden Vos (Paul Bettany). There's a lot crammed into "Solo," and screenwriters Jonathan and Lawrence Kasdan treat the plot like a puzzle that needs to be filled in piece by piece until the expected picture emerges. 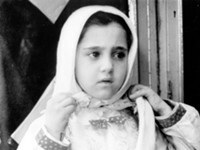 But once we get that final picture, none of the individual pieces have done much to deepen the character at its center. Too often it feels like the kind of blatant fan service that "Star Wars" agnostics complain take up too much real estate in these new films. "Solo" expects us to already be invested in Han right from the jump, simply because of who he will eventually become. It's a testament to Ehrenreich's charming performance that by the end, we do care about the character; given the thankless task of stepping into an iconic role, Ehrenreich finds a way to make it his own. It helps that he's surrounded by a fantastic ensemble, all giving wonderful performances. The film also benefits from a distinctive look, thanks to the gorgeous, rich shadows of Bradford Young's stunningly textured cinematography. It's a dark, beautiful movie, though I fear his work will end up a victim of movie theaters dimming their projector bulbs, a common practice that will render the visuals muddy and incomprehensible for most audiences. "Solo" had a troubled production, shifting gears when "The Lego Movie" directors Phil Lord and Chris Miller were replaced late in the game by veteran director Ron Howard. He was a safer choice and the movie he's crafted reflects that: it's efficient, but not particularly memorable. I eagerly await a time when the "Star Wars" series can move beyond films like "Solo," which merely give audiences more of what they already know they love. It's a great big universe out there, and sticking to the same familiar characters and plots only ends up making it feel that much smaller.